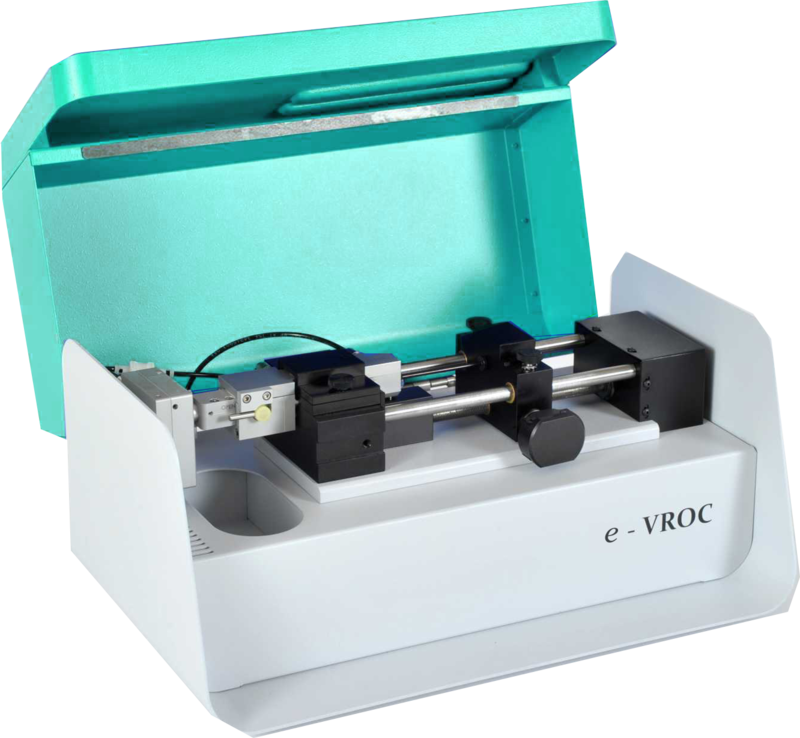 e-VROC™, the viscometer capable of measuring apparent extensional viscosity, measures the extensional flow of polymer solutions to help you understand and optimize your industrial processes. 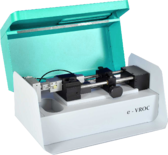 By monitoring the sample flow through a microfluidic contraction within the measuring cell, e-VROC provides precise apparent extensional viscosity data. Compared to other methods of extensional viscosity measurement, e-VROC allows the measurement of extensional viscosity at high extensional rates. 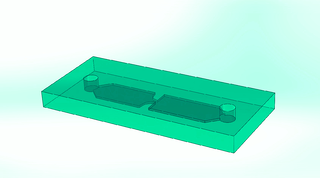 The system measures the pressure upstream and downstream of a contraction using the MEMS pressure sensors, and it registers changes in the flow. The fluid undergoes an almost constant extension through the contraction/expansion, enabling the calculation of the extensional viscosity. Choosing the VROC chip(s) for your instrument depends on the user's desired shear rate range, viscosity range, and particle size (if applicable). 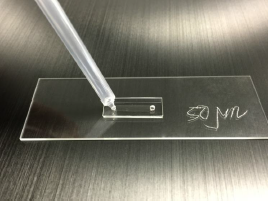 RheoSense offers transparent dummy chips with which one an study the effectiveness of candidate cleaning solvents. 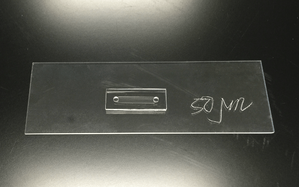 These dummy chips can also be used for sample compatibility and configuring cleaning protocols without the risk of breaking the VROC Chip. The e-VROC viscometer is tailored for measuring fluids with certain extensional viscosity properties which exhibit thickening beyond the Trouton ratio found for Newtonian fluids, creating a solution for a niche market in several industries. Extensional deformation and extensional shearing have a significant impact on certain industrial processes. Access our free technical application note to learn more! To identify specific e-VROC parts, cross reference the part number (p/n) using the chart below. If your parts are not listed here, please contact us directly here. If you're curious to learn more & see if this instrument can work for you, register for a live demonstration of the e-VROC viscometer for free! • Other questions/inquiries? Contact us by clicking below!